Without a doubt, N.O.V.A Legacy is one of the most addictive games ever developed by Gameloft in remastered form. 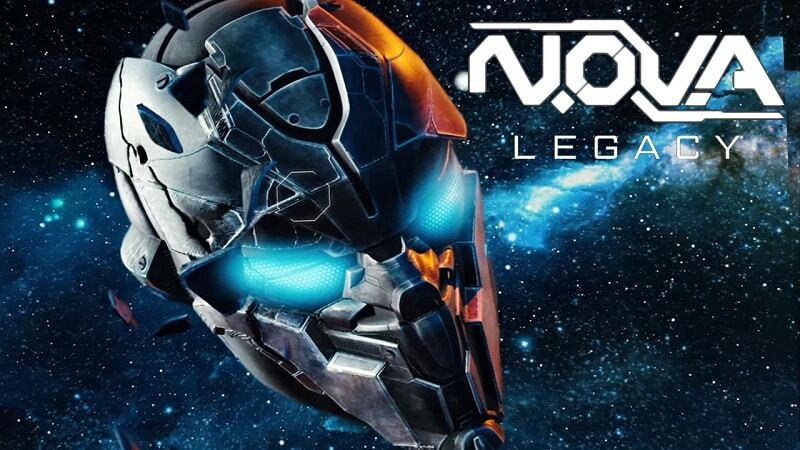 This epic first episode of the critically acclaimed N.O.V.A saga gives you the best sci-fi FPS experience in a surprisingly compact 20 MB version. It’s exclusively an Android & iOS app, but it’s now available for Windows 7/8/8.1/10/XP and MAC users who enjoy playing mobile games on their laptops/ desktops. In this page, we provide you with an easy-to-follow tutorial on how to download and install it on your PC. You’ll be playing as Kal Wardin, a retired N.O.V.A veteran and hero summoned once again to fight against enemies in defense of the Colonial Administration forces. With help from Yelena, who is your personal Al Agent, you must protect humanity’s destiny by battling the alien invaders. At the same time, you’ll be uncovering the mystery behind their attack. Generally, N.O.V.A Legacy focuses on online gameplay, but you can also play it offline. To complete your mission, you’ll have to defeat the enemy Crystal. Once you launch the app, you can go through pop-up tips that outline the basics of the game as well as how to play. It’s your helper- Yelena who provides you with these tips. You’ll learn more about controls, backups provided by your subordinates, small incubator type boxes that help you in healing, currency, upgrading weapons, shipping repairs, armoring yourself and more. N.O.V.A Legacy features the best shooting mechanics for mobile games. This is also true when you play it on your Windows/ MAC laptop or desktop. 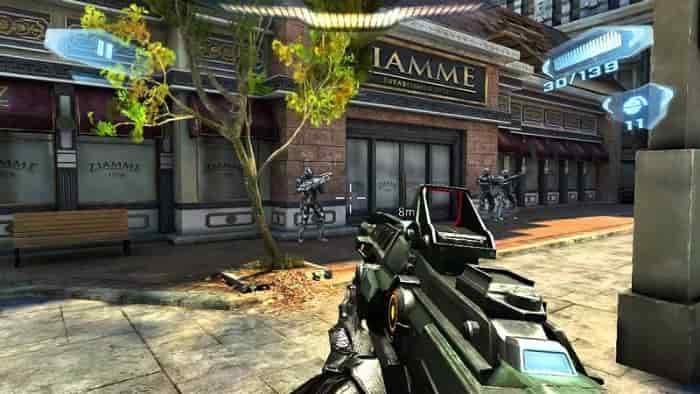 The immersive shooter experience is based on the renowned Gameloft FPS series and is just in the same vein as Modern Combat. Story Mode: When playing in story mode, you’ll be fighting against Al in series of campaign missions. Your main objective will be to uncover the mystery behind recent alien attacks. Shadow Events: Battle and defeat aliens’ Special Forces in challenging and time-limited events. Special Ops: Enjoy launching strategic strikes on unique alien formations when playing in this mode. Each mode features different stages that get tougher as you progress. You’ll have to clear a mission to advance to the next level. Note that you’ll be facing different evil forces in every mission. Just use your powers and combos in an effective way, and you’ll emerge victorious. Face other real players and be the last one standing by playing in a “Deathmatch,” a 6-player firefight. While playing online, there are a variety of Marine and alien skins that you can use to customize your character. The multiplayer modes feature leaderboards, as well as 3rd-person Death Cam replays. The game features plenty of weapons to craft and upgrade, ranging from powerful assault rifles to plasma guns. You have to keep your armors/weapons up-to-date to ensure survival. 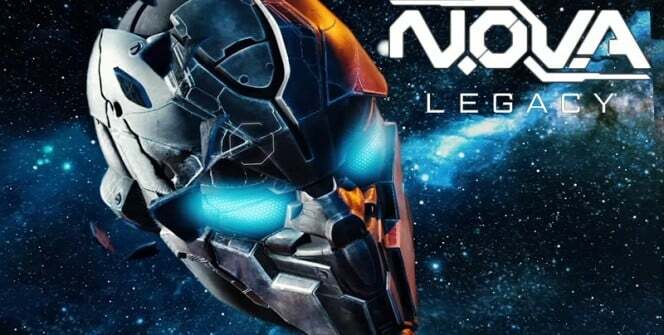 If you are a fan of FPS, shooting and action PC games, N.O.V.A Legacy for PC is meant for you. The entertaining and mind-blowing game is fun to play on a large screen. Its crispy graphics and gameplay feel more realistic than what you experience on a mobile phone. Download N.O.V.A Legacy for PC to start improving your leaderboard stats. You’ll be proud to share your achievements with friends and other competitors. Sometimes when playing N.O.V.A Legacy, bluestacks ask you fee to pay but gives you option to download some apps. Every time it asks you just select “Install apps” and continue using it free. I hope you enjoyed this article, please rate and share. If you have problems running N.O.V.A Legacy on desktop or any other issues, leave a comment below.